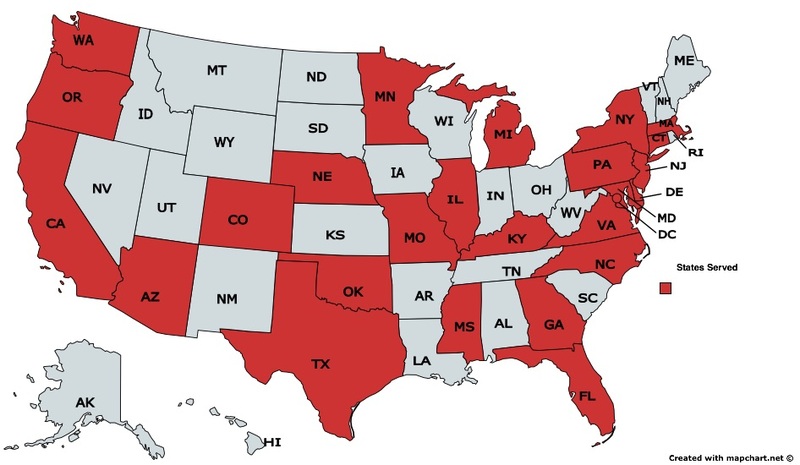 Since Jan. 2015, we have served individuals and families in twenty-four states, including: Arizona, California, Colorado, Connecticut, Florida, Georgia, Illinois, Kentucky, Maryland, Massachusetts, Michigan, Mississippi, Missouri, Nebraska, New Jersey, New York, North Carolina, Oklahoma, Oregon, Pennsylvania, Texas, Virginia, and Washington. We typically communicate with these families before, during and upon reentry from prison in person or by phone, email, Skype, FaceTime or GoToMeeting, or via CorrLinks if in a Federal prison. Please click herefor our full information package. In the 10+ years we’ve been working with white-collar individuals, families and organization before, during & upon reentry from prison, this is our simple belief and conclusion: Those who adopt a spiritual solution evolve and cope more successfully than those who do not! Shepherding people and families with care and compassion all the way through the incarceration and reentry process to a new and transformed life is our mission. We engage in direct pastoral care in person and by telephone/ Skype/ FaceTime/ GoToMeeting/ mail/ email (many Federal prisons now have email). We Suffer From: Shame. Regret. Fear. Remorse. Failure. Hopelessness. Helplessness. Denial. Feeling Stuck. Depression. Feeling Life is Over. Uselessness. Feeling Like a Doormat. Unworthiness. Projection. Isolation. Substance Abuse. Mental Illness. Compulsions. Feeling Like an Outcast. Labeling Ourselves as a Criminal and a Felon. Anger. Trying to Control Outcomes. Attachment. Feeling Vulnerable. Loneliness. Sadness. False Pride. Mourning. Sloth. Envy. Jealousy. Avarice. Victimhood. Disbelief. Having Unreasonable Expectations. Instead, We Would Like to Be:In Acceptance. Surrendering to Reality. Accomplished. Resilient. Resourceful. Faithful. Hopeful. Recognizing Our Talents. Lovable. Accepted. Surrendering to Reality. Lovable. Respected. Forgiven. Trusting. Trustworthy. Accountable. Passionate. Repurposed. A Good Friend, Husband, Wife, Father, Son, Daughter, Citizen, Voter, and/or Taxpayer, Empathetic. Compassionate. Kind. Understanding. Feeling Self-worth and Self-esteem. Debt Free. In Service to Others. Proud, In the Process. Healthy. Free. We Suffer From:Stigma. Ostracism. Shunning. Public Fear. Blaming. Marginalization. Litigation. Separation. Estrangement. Divorce. Schadenfreude. Underemployment. Unemployment. NIMBY. Being Cast Out. Banishment. Others Hurt. Disappointment of Others. Victimhood. Resentment. Retribution. Revenge. Others Demanding Justice. Restitution. Others Anger. Damnation. Instead, We Would Like to Be:Forgiven. Accepted. Happy. Relieved. Empathized With. Understood. Tolerated. Shown Compassion. Given Care. Given Support. Shown Service. Reconciled. Given Amnesty. Pardoned. Given Opportunities. Living in Community. Offered Compromise. Allowed to Work. Allowed to Vote. Allowed to Make Mistakes. Prison Readiness. We partner with and oversee the most ethical, compassionate and effective prison coaches and consultants in the country, so that together we can provide all the practical steps for survival and success in prison, and throughout the journey. Pardons, Clemency, Commutation of Sentence. We believe that individuals and families should start focusing on reentry, life after prison and a pardon from the first moment of the process. Certainly not everyone will obtain a pardon, but life will continue to evolve and grow more successfully by engaging in a Culture of Pardons. We work with state and Federal pardons/clemency experts to ensure the best results down the road. Support Groups. We have founded the country’s first confidential online white-collar/ nonviolent support group [As this support group is being run by clergy as part of a program of pastoral counseling, we consider it to be confidential and privileged]. We hold our weekly group meetings on Tuesdays, 8 pm Eastern, 7 pm Central, 6pm Mountain, 5 pm Pacific. Link for information. Pardons, Clemency, Commutation of Sentence. This is the time to really focus on the specific steps it takes to obtain a pardon, clemency or commutation of sentence. Each state has its own rules and procedures, as does the Federal government. We work with state and Federal pardons/clemency experts to ensure the best results. Boards. It is our honor to have served on a number of criminal justice/prisoner reentry-related Boards including Family ReEntry, Bridgeport & New Haven, CT; Community Partners in Action (formerly the Connecticut Prison Association), Hartford, CT; and Healing Communities Network, New York, NY. Jeff has also served on the Editorial Board of the book, The Justice Imperative: How Hyper-Incarceration Has Hijacked the American Dream, Southport, CT, and on the Advisory Board of the Phoenix Association, Guilford, CT, and Creative Projects Group, Los Angeles, CA (Kahlil Gibran’s “The Prophet”). Jeff was the recipient of the Elizabeth Bush Award for Volunteerism ’12, and the Bridgeport Reentry Collaborative Advocate of the Year Award ’13, ’14 & ’15 and Professional of the Year ’16. JustLeadershipUSA recognized Jeff as one of fifteen “National Leaders in Criminal Justice.” Jeff has been invited to attend the prestigious Collegeville Institute spiritual writing workshop at Louisville Seminary, fall ’16. Speaking Engagements. We have had the privilege of speaking at some of the most important and influential venues in the United States, including The Nantucket Project, Nantucket, MA; Greenwich Leadership Forum, Greenwich, CT, the Corrections Ministries and Chaplains Association (CMCA) Correctional Ministry Summit, , Wheaton College, IL; Salons at Stowe, Harriet Beecher Stowe Center, Hartford, CT; Union Theological Seminary in the City of New York; Yale Divinity School, New Haven, CT; and many prisons, reentry programs, houses of worship and other venues. Media. Articles featuring our ministry have appeared in Forbes, Inc., The Huffington Post, Absolute Return/ HedgeFund Intelligence, Business Insider, New York Magazine, Fairfield County Business Journal, Reentry Central, Weston Magazine Group, Weston Forum, Greenwich Sentinel, Greenwich Time, The Hour and others.